By taking care of the finest details, we ensure nothing is overlooked. HOW CAN YOU GET MORE OUT OF YOUR ASSETS? We can PAVE the way towards higher performance. Production Value Asset Enhancement (PAVE) breaks down orginizational and technical barriers which can lead to sub-optimal asset management. 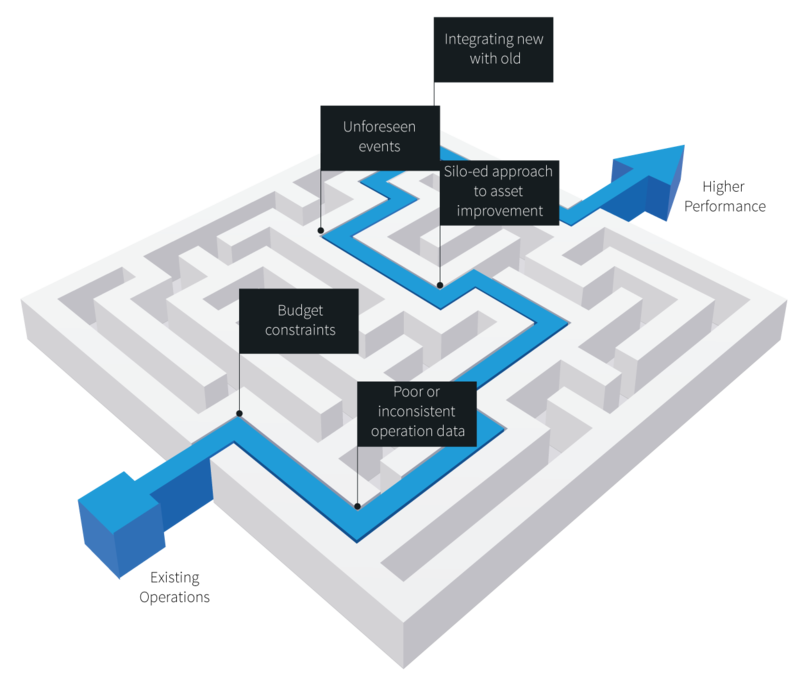 The PAVE process is a unique structured and integrated approach to asset management. Our blended team of management and technical consultants provide you with trusted advise to help optimize production and minimize OPEX, whilst continually safeguarding your team and the environment. Our specialists work closely with you to tailor programs so that your assets can perform to their design and potentially beyond, in a cost efficient manner, without compromising safety or the environment. We only give you the solutions you need to the problems you face - avoiding costly reactionary solutions - which in turn, will enhance the overall value of your assets.